Created especially for sharing within the health care community, this gospel cover is perfect for use in hospitals, doctor's offices, clinics, and other medical settings such as dentists, naturopaths and chiropractors. 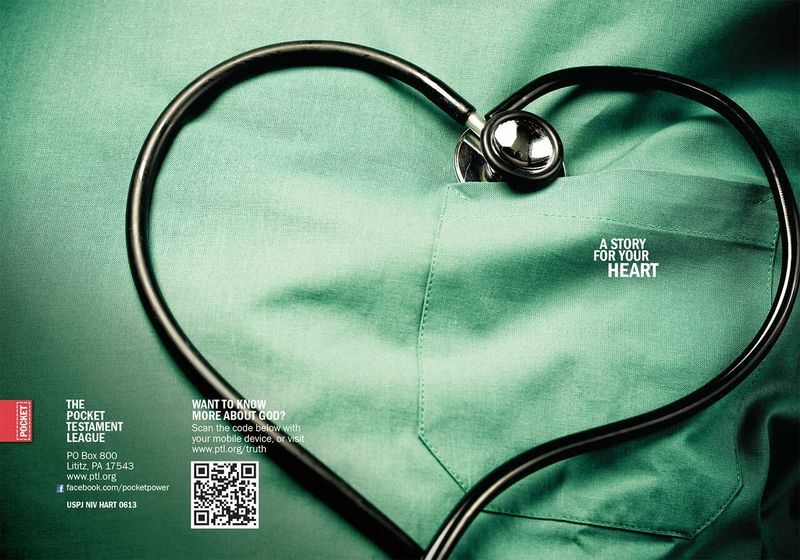 This striking cover image is intended to touch the heart of anyone involved in health care. With a stethoscope placed in a heart shape, it speaks powerfully about everyone's need to be loved, a need fulfilled by Jesus Christ.